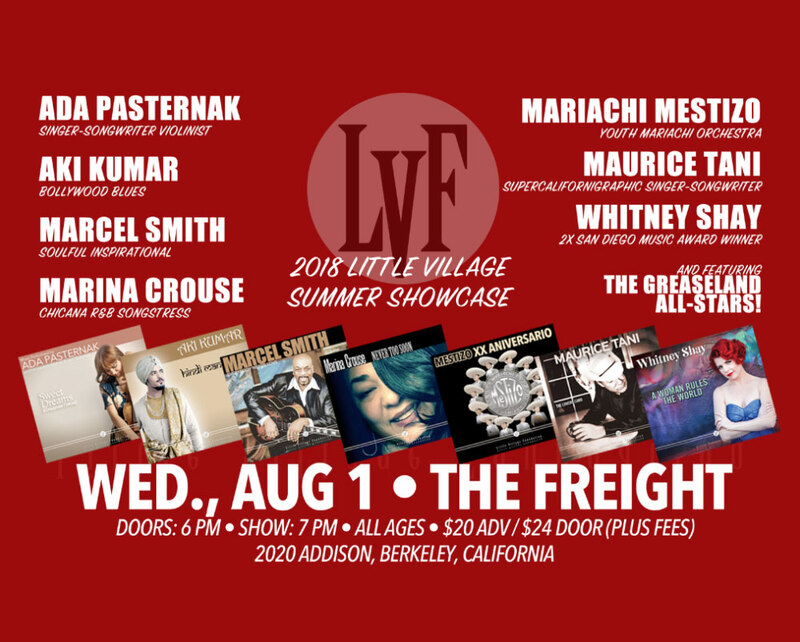 On August 1st, Little Village Foundation will celebrate the release of 7 new LVR releases at the Freight & Salvage in Berkeley, CA with a Summer Showcase performance featuring LVF artists Ada Pasternak, Aki Kumar, Marcel Smith, Marina Crouse, Mariachi Mestizo, Maurice Tani, Whitney Shay. Six singers and a Mariachi! Doors open at 6:00 and the show is at 7:00. Tickets are still available!